Topic: An investment decision making process should not be assumed to work in every investment environment. Too often, investors fail to adapt to rapidly changing conditions and find themselves bending their rules and justifying their exposures based on narratives. Having a clearly defined and objective way to classify and identify market conditions can save considerable financial and mental capital. We’ll take a look at how I analyze markets and use the backdrop of a challenging 2018 as the case study. 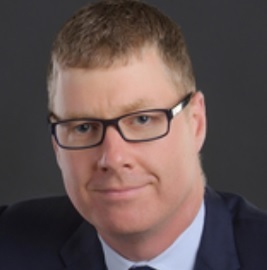 David Cox has been a Portfolio Manager at CIBC Wood Gundy in Guelph, Ontario, for the past 15 years. He believes technical analysis is essential to making rational investment decisions, and manages assets using fundamentally screened, yet technically driven trend following and swing trading techniques to identify timely buy and sell strategies. David previously worked in the quantitative research department for an institutional buy-side investment manager and can speak from experience to the value that technical analysis brings to a fundamentally driven investment process. David is a well-known presenter on technical analysis, highly recommended by the Chartered Market Technician Association to which he belongs. David is one of the few dual holders, globally, of both the Chartered Market Technician (CMT) and the Chartered Financial Analyst (CFA) designations. He has a Bachelor of Mathematics from the University of Waterloo. Email with webinar link will be emailed to all members Tuesday Afternoon.